Ross handed over the editorship baton to Mark Meehan in the mid-nineties. Mark carried on and evolved the fanzine. We were selling 3,000 issues of the Chelsea Independent fanzine on the Fulham Road (outside the Lost Theatre) and it was a joy to contribute during what was a time, for CISA, of unprecedented Chelsea success. To see us lift our first trophy for over 26 years in 1997 was for most Chelsea fans a dream come true – something that could never be taken away from us. There was a writing roster of excellent contributors and things at the Indie looked extremely bright. Looking back, perhaps the turning point and the start of the Indie’s slow decline was the death of Matthew Harding in late 1996. A real champion of the Independent, Harding was a fan in the real sense of the word and for once there was a glimmer of hope that Chelsea would be owned by a multi-millionaire fan who appreciated and respected all that CISA and the Indie had done. Harding’s death in a helicopter accident returning from an away tie at Bolton was a hammer blow to the Indie. Bates soon resumed his tirade against CISA and all hope of board representation had gone. By 1998, the writing was on the wall so to speak. Andrew Wrench (who had taken over from Mark Meehan’s editorship) stepped down to be replaced by Mark Wheeler and James Edwards with David Johnstone looking after CISA. Max Dowling and myself wrote the match reports, something we also did for Sport’s First newspaper in the late nineties. It was strange pulling over in a layby at the Stadum of Light and other away venues filing copy to the Press Association. Sport First paid us £30 a report. Whilst the Indie’s editorial content was stronger than ever there was a convergence of factors that killed off Chelsea’s best-loved fanzine. Perhaps the greatest of these was, perversely, the team’s success. 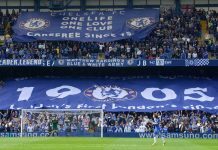 In 1987, there were just over 9,000 fans at the Bridge to watch Chelsea play Oxford on a cold February day. 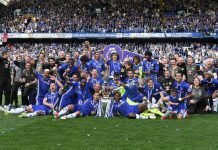 A decade later, Chelsea had four times that amount watching the Blues. Where had they come from? We were a victim of our own success. Due to our location, our high prices, our cosmopolitan image, our team of world stars and the re-emergence of football as a worthy pastime following Euro ’96, the Bridge was flooded with glory hunters and new fans. For these fans, what was there to complain about? 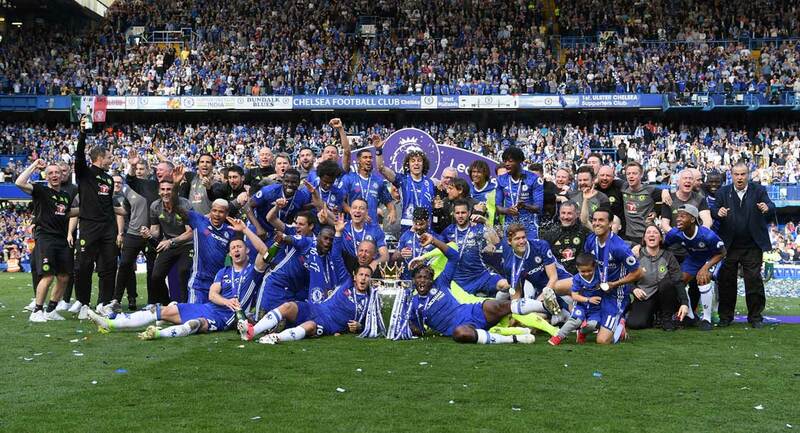 Who needed board representation when Zola was scoring the last minute goal in a European Final? Who needed a fanzine mouthpiece? Football used to be much more than just the game. Like other youth movements (mods, punks etc) it was a way of life. It had its own culture and fashions. This was original lad culture before the pathetic emergence of quasi-cool magazines such as Loaded and FHM. With the gentrification of Chelsea and Stamford Bridge, fanzines lost their appeal. Sales went down. The hammer blow, paradoxically enough, was the Internet and the proliferation of football media. Football was everywhere, on TV, on Satellite, on the magazine newsstands, on the back pages of the Nationals, in books – all competing for readers’ attention. With mobiles and email also producing a cultural shift, the Chelsea Independent went into a quick decline and in 2001 stopped altogether. Mark Wheeler, had by that time already decided to start a (very) small website dedicated to Chelsea. Mark and I posted our Sport First reports and various match reviews as well as the odd editorial. The url, famously, was http://www.freeyellow.com/members6/cisa. With the ending of CISA and the ending of the Chelsea Independent, Mark Wheeler, new operative and technical wizard Peter Sampson and myself decided to go it alone reborn and realigned as CFCnet. Within a few months CFCnet hit the national news as being responsible for what was called “Mission Celery” by Reuters. With only a small initial readership the website took a lot of work and a level of dedication that Mark, a full time journalist, did not have available. Late in 2002 he decided to take a break from the site as Editor and, after a few rudderless months and numerous auditions later, Rob Hobson took up the Editorial role just in time for Roman Abramovich’s takeover.